At this time of year, everything can seem a bit grey and cold. What better way to cheer things up than a sparkly unicorn bath! With tropical coconut milk, pink Himalayan sea salt and colourful glitter, you’ll be feeling festive in no time. Follow along to make your own really easy Coconut Unicorn Bath Milk. 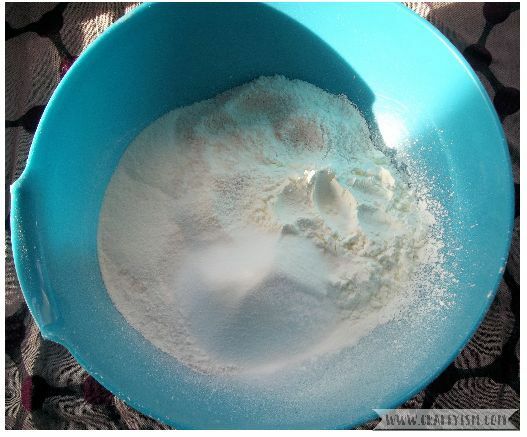 In a plastic bowl, mix together the dried coconut milk, pink Himalayan sea salt, corn flour and bicarbonate of soda. The coconut milk and corn flour will soften and nourish your skin, whilst the salt relaxes and bicarbonate adds a little bit of fizz! 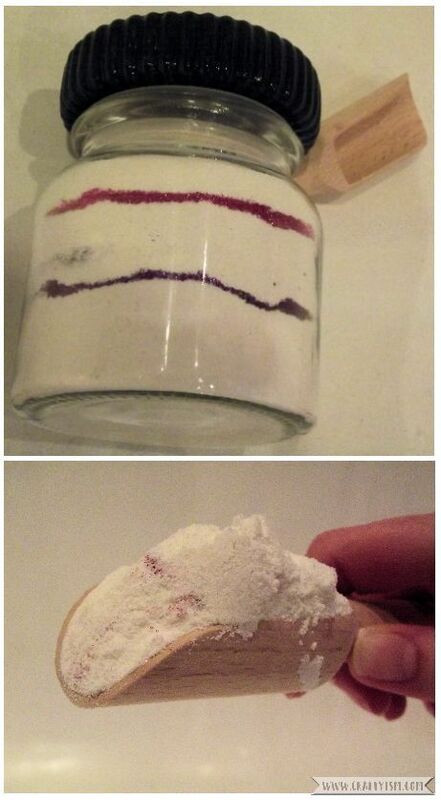 Take your jar and fill it a third up with the powder mix. Next, sprinkle over a layer of purple glitter. 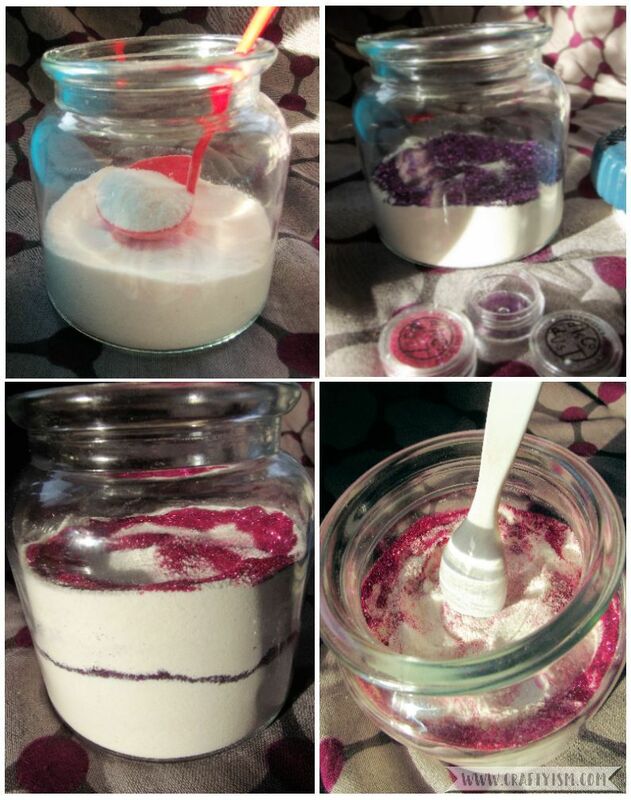 You may need to push it to the edges of the jar, this just makes it look pretty! Then add another third of powder mix followed by a layer of pink glitter. Lastly top up the jar with the remaining powder mix. You can buy glitter specifically for bath products from cosmetic supply companies. However I had this bio-degradable body glitter already so I just used that. To use the Coconut Unicorn Bath Milk, simply scoop some of the mix into a warm running bath. I used about 3 large scoops, but it’s totally up to you. Soak in your lovely relaxing bath! This Coconut Unicorn Bath Milk smells amazing and the glitter looks so pretty floating on the water. As usual, make sure to check for allergies before using this or any other bath product! As I used body glitter, I was a bit covered in glitter when I got out of the bath, but that’s perfect for party season! Of course you don’t have to add any glitter if you don’t want to, that’s the great thing about making your own cosmetics. I think this would make a brilliant Christmas present. You could even customise it for the recipient. How about blue and purple glitter for a mermaid lover, or even black and red glitter for a vampire fan? Let me know if you make this and what colour glitters you used.